Telstar 19 VANTAGE or Telstar 19V is a communications satellite with two high throughput payloads, one in Ku-band and the other in Ka-band. 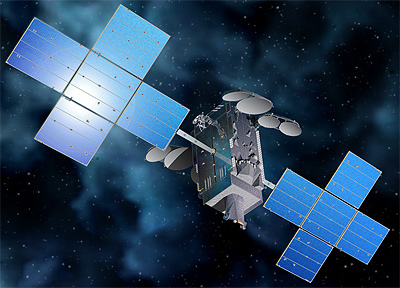 Telesat signed a contract with SSL in November 2015 for the construction of the satellite. It is based on the SSL-1300 bus. With a launch mass of 7075 kg, Telstar 19 VANTAGE is the heaviest commercial comsat so far. Telstar 19 VANTAGE isthe second of a new generation of Telesat satellites optimized to serve the types of bandwidth intensive applications increasingly being used across the satellite industry. Hughes Network Systems LLC (Hughes) has made a significant commitment to utilize the satellite’s high throughput Ka-band capacity in South America to expand its broadband satellite services. The satellite has additional high throughput Ka-band capacity over Northern Canada, the Caribbean and the North Atlantic Ocean. It will also provide high throughput and conventional Ku-band capacity over Brazil, the Andean region and the North Atlantic Ocean. The new satellite will be co-located with Telesat’s Telstar 14R at 63° West, a prime orbital slot for coverage of the Americas. Launch took place in July 2 018 on a SpaceX Falcon-9 v1.2 rocket. Launch is planned for 2018 on a SpaceX Falcon-9 v1.2 rocket.